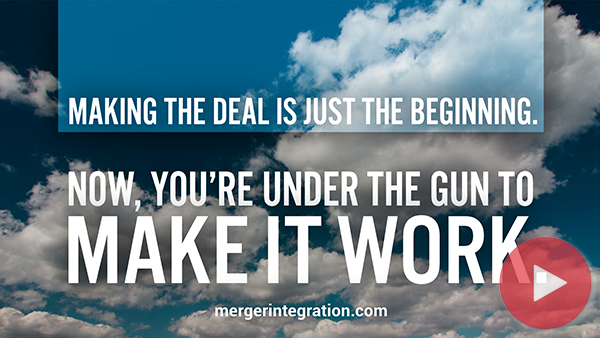 The journey from “deal announcement” to “integration complete” is a hazardous trip. You expect problems. But the most treacherous terrain often takes executives by surprise. This phase begins when the deal closes and typically runs through the first two or three months of integration. Sometimes the time frame is conceived as Day 1 through the first 100 days. This period is intense, with many decisions and critical actions as the consolidation process is mobilized. People are scrambling, on high alert. Things are off-balance but moving fast. Uncertainty spikes. You might guess this to be the riskiest time, but bigger challenges lie ahead.